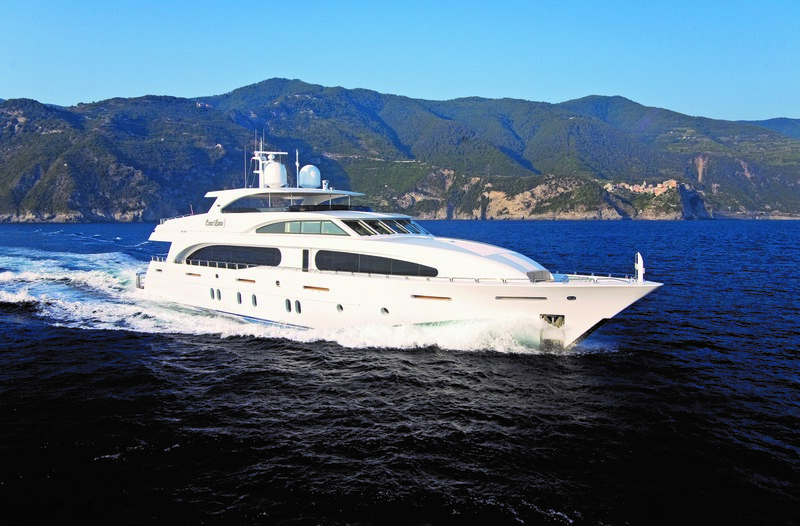 VIVA MAS is a 37m (124ft) Broward Marine launched in 2007 and brand new to the charter market. 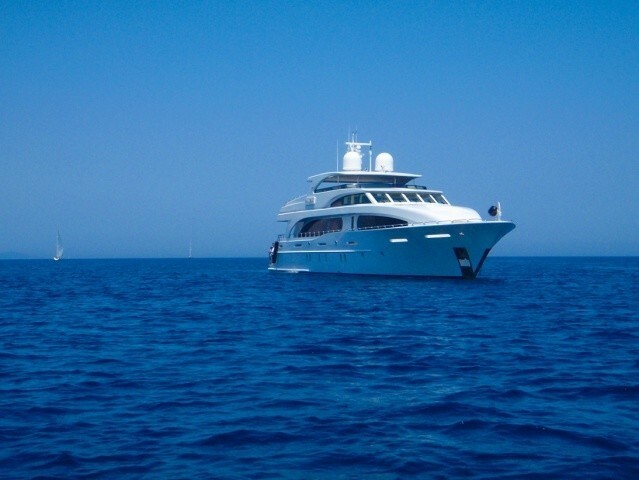 She is based in the Caribbean during the winter months and is designed to comfortably host 10 guests in 5 staterooms. 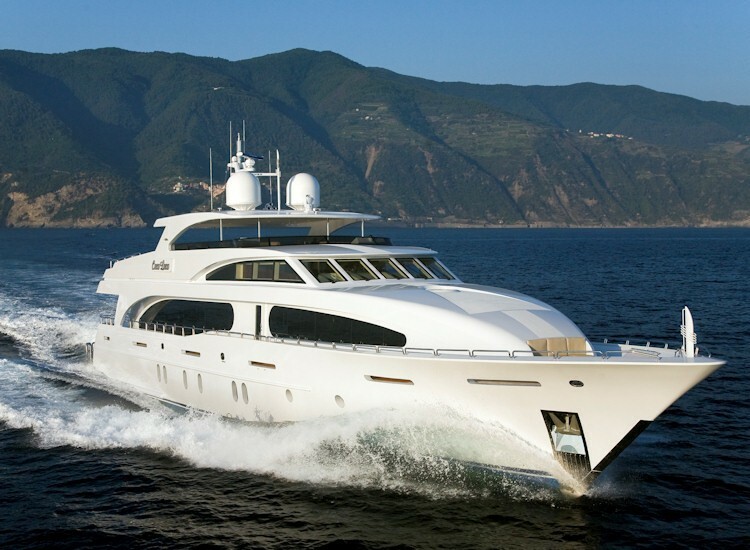 Luxury Motor yacht VIVA MAS! (ex Aquasition, Coco Loco) covered aft deck is a perfect alfresco dining area fitted with an intricately inlaid table with sun resistant leather chairs. 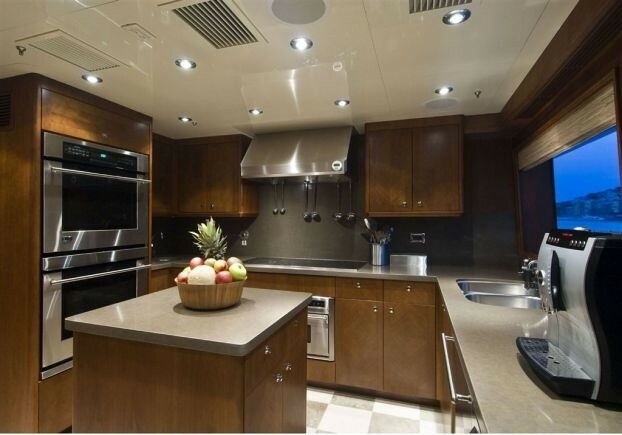 This area is also has a flat screen TV fixed above a granite wet bar to starboard. 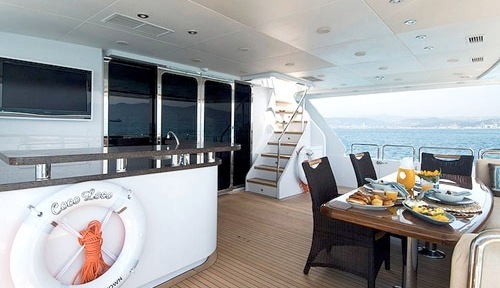 From the main deck aft there are steps on either side of the dining area for easy access to the extended swim platform and the sports equipment. 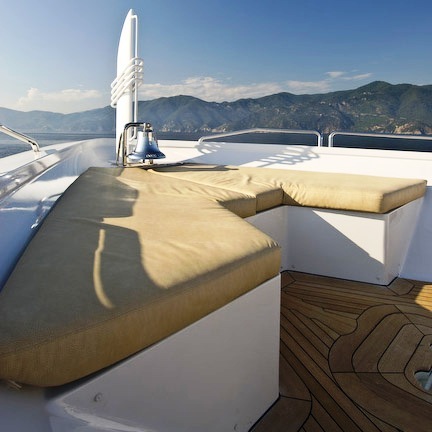 The custom teak swim platform aft conceals storage for two wave runners and a crane. 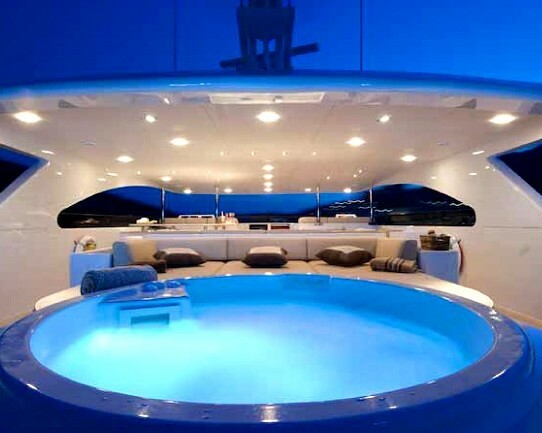 There is a swim ladder and a garage for storage of additional water toys. 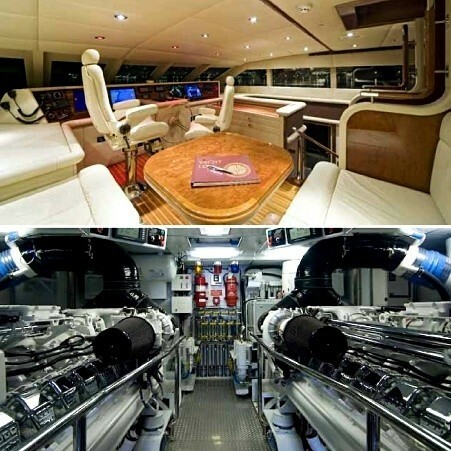 Through the double glass doors on the aft deck is the elegant main saloon which is refreshing and light with large windows and high gloss cherry wood work. 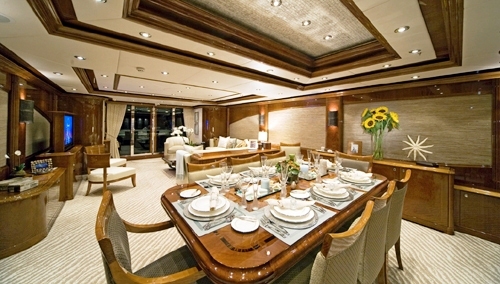 The open floor plan of VIVA MAS's main deck salon and dining area that gives a great sense of space is enhanced by the Goose down cushions, cashmere silk blend upholstery, and suede leather. 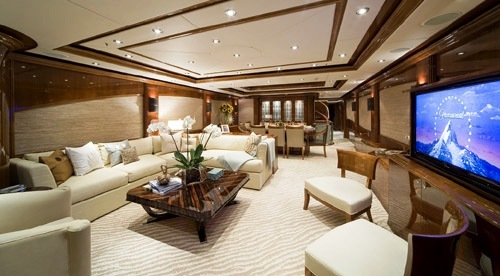 There is plentiful seating and 52 inch flat screen TV/DVD/stereo. 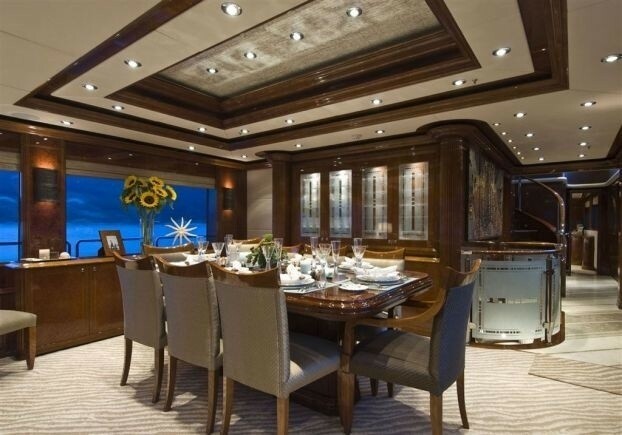 A unique focal point in the salon is the large cocktail table made from exotic Madagascar ebony wood. 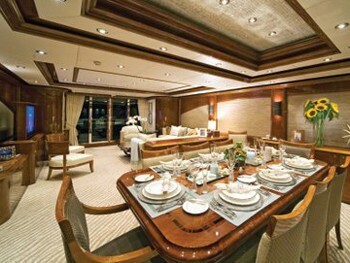 The formal dining area comfortably seats 10 guests. 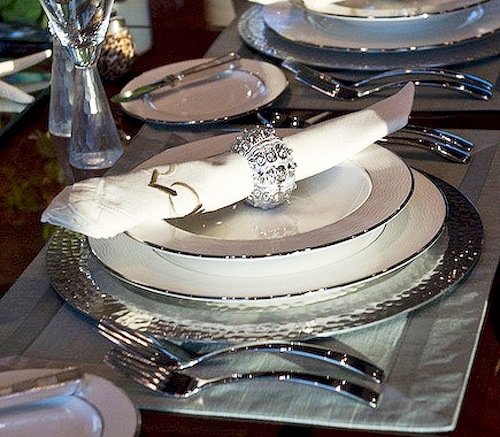 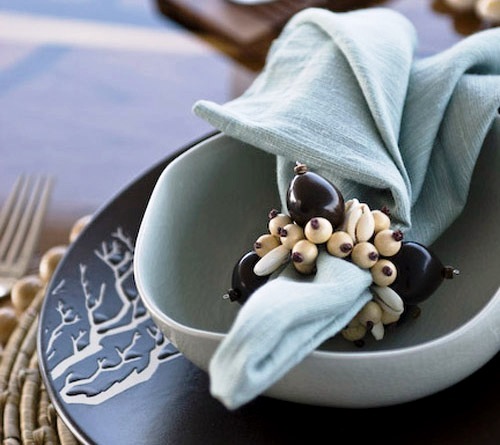 Collections of dishware designed to mix and match lend themselves to a distinctively designed tabletop complete with unique accents and accessories. 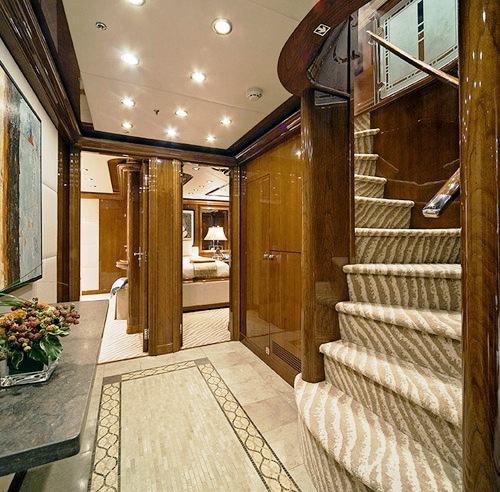 Forward is the foyer, galley, powder room and master stateroom. 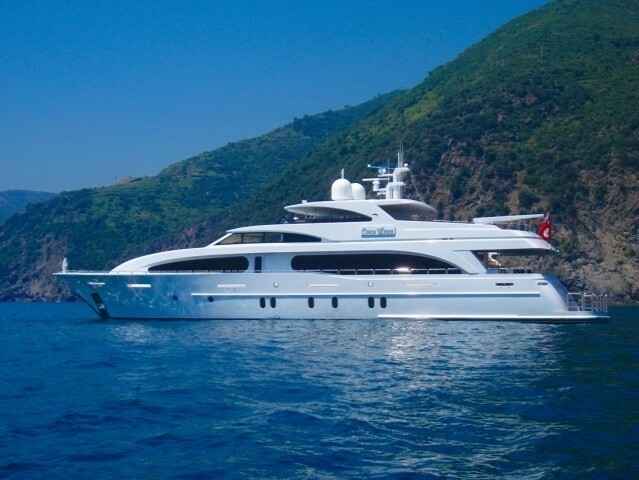 Motor yacht VIVA MAS has a spacious sundeck above that has it all. 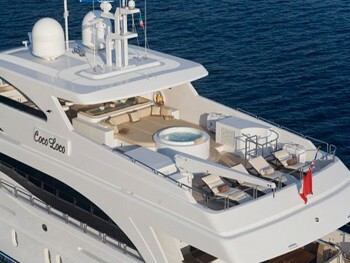 Boasting chaise lounges, a Spa Pool with optional padded cover and a large sun bed. 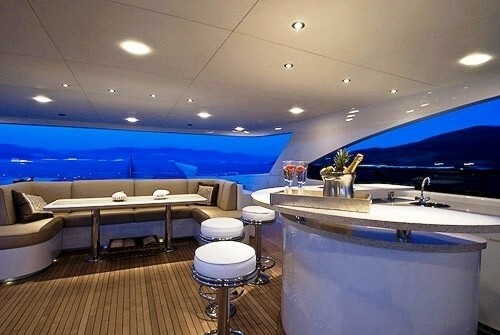 Forward of the open deck is the covered alfresco dining area for 10, full bar with stools, BBQ and additional corner seating with a cocktail table. 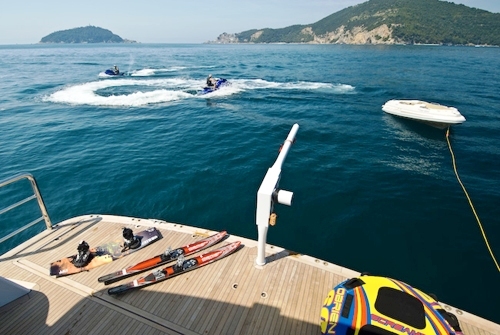 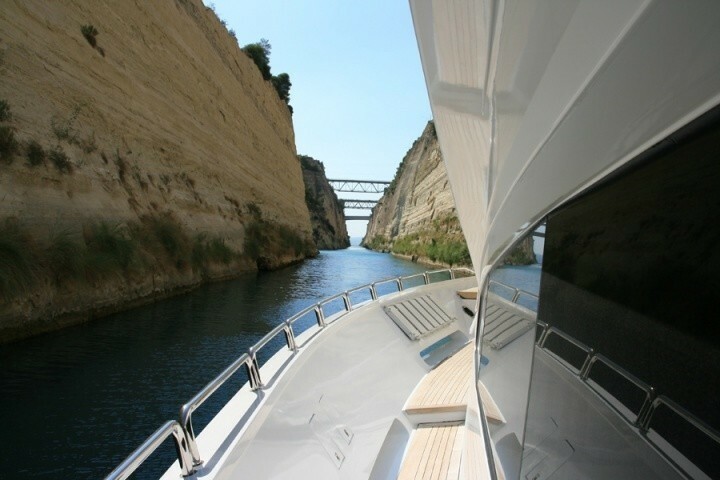 The sundeck can be accessed by either the pilothouse or aft deck. 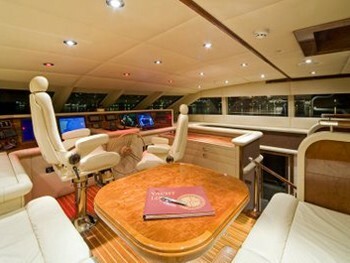 Additionally, there are two seating areas on the bow. 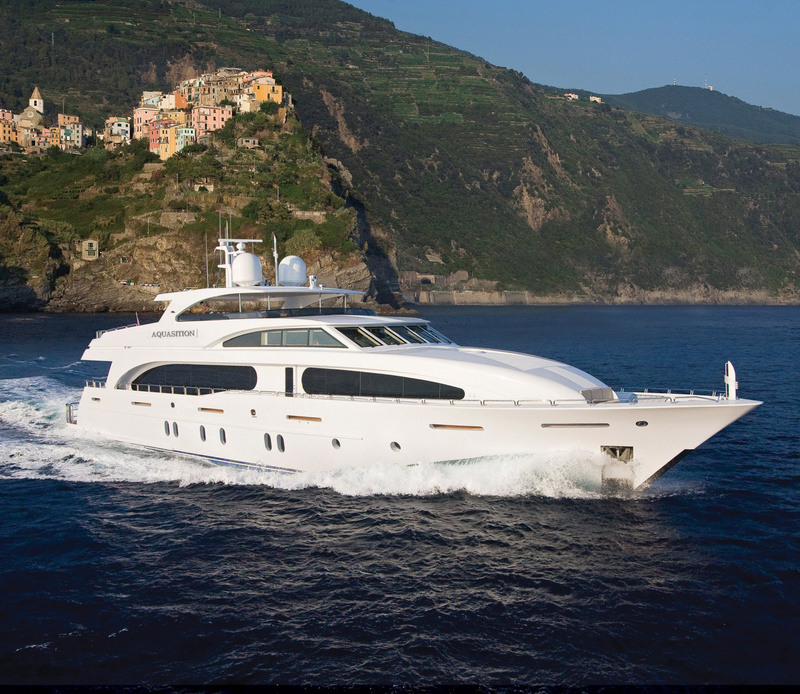 Broward Marine 124 motor yacht VIVA MAS has an elegant pilothouse completely upholstered in UV protected aniline dyed Spinney beck leather and of course is where the state-of –the –art navigational equipment resides. 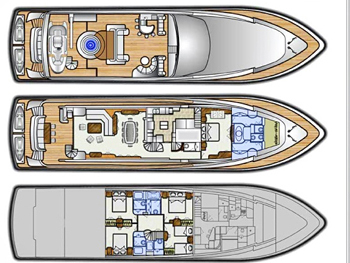 Below deck there are four staterooms with ensuite bathrooms, a foyer with refrigerator, and separate from the guest area is the crew accommodations. 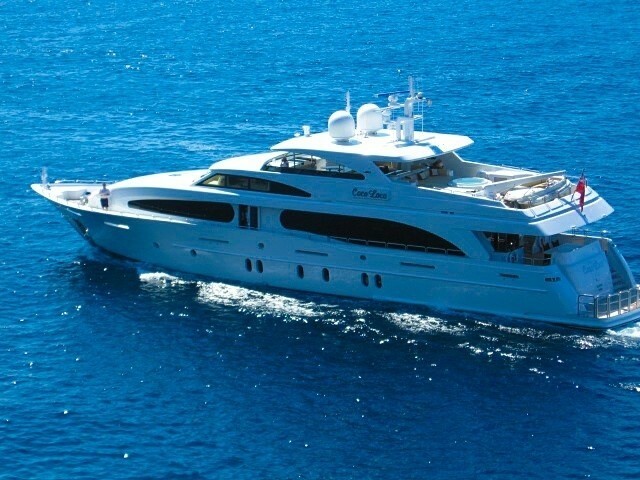 She accommodates ten guests in five well appointed staterooms to include an on-deck Master stateroom with his and hers onyx bathrooms with central Jacuzzi and separate shower featuring custom cappuccino/ onyx marble slabs for the floor, shower and tub surrounds. 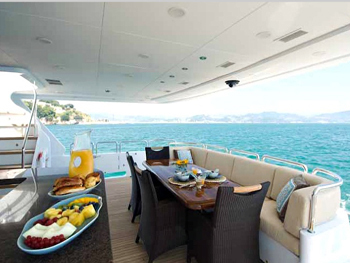 The spectacular flybridge features a sit-down bar, comfortable seating/dining, circular jacuzzi, jet tender and custom hardtop. 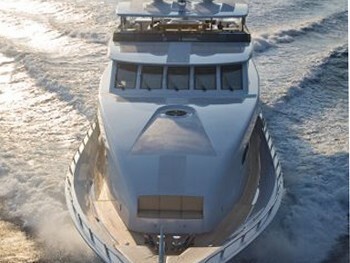 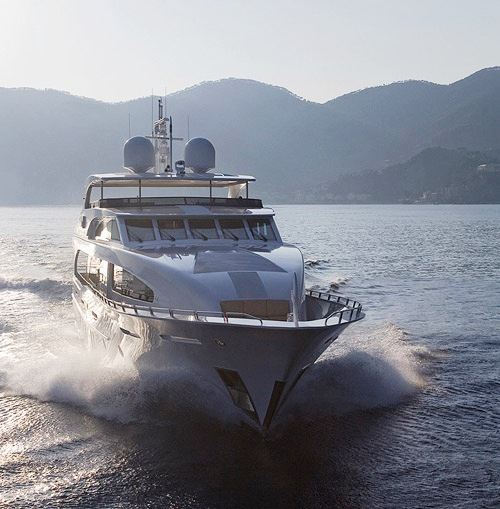 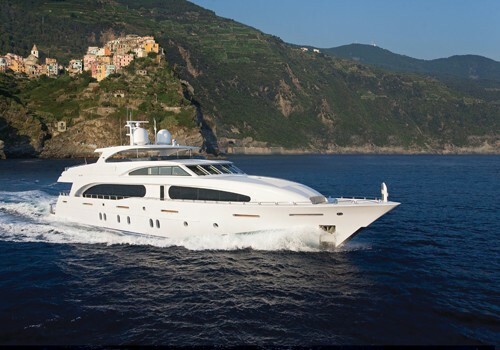 Luxury yacht VIVA MAS is a dynamic and modern motor yacht brand new to the market. 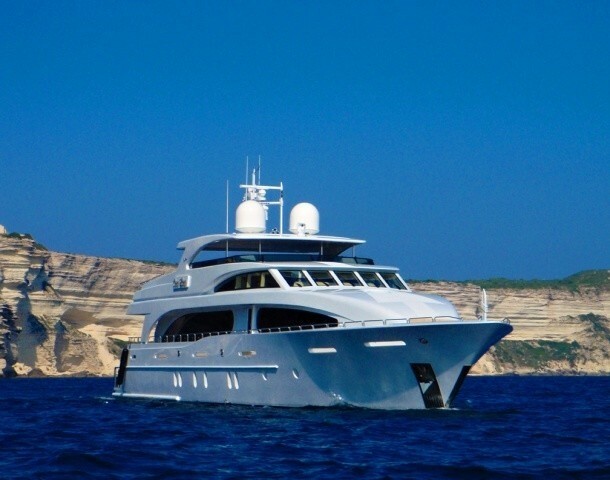 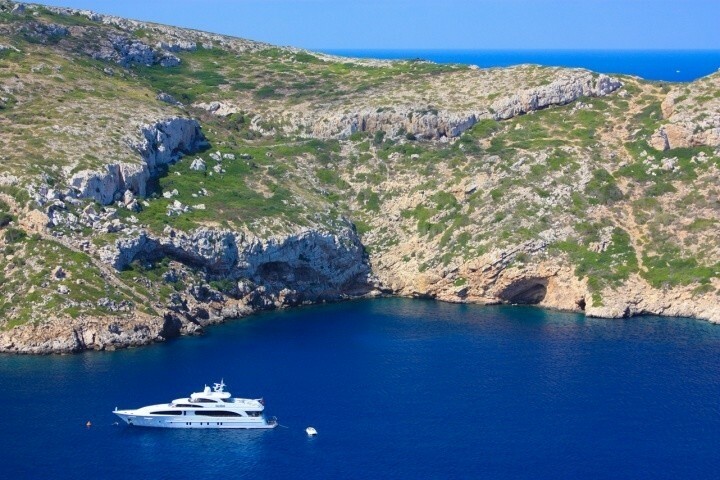 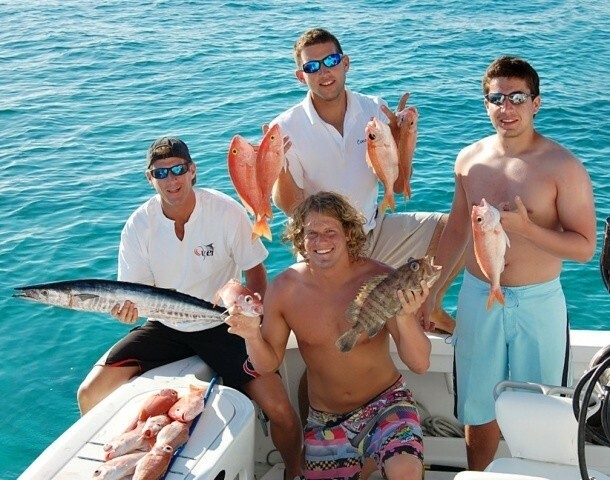 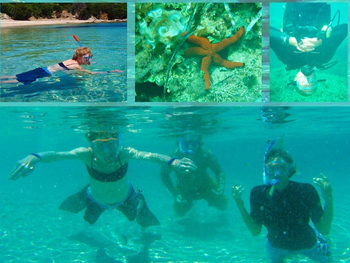 Her crew of 6 look forward to welcoming you on board for an unforgettable charter vacation! 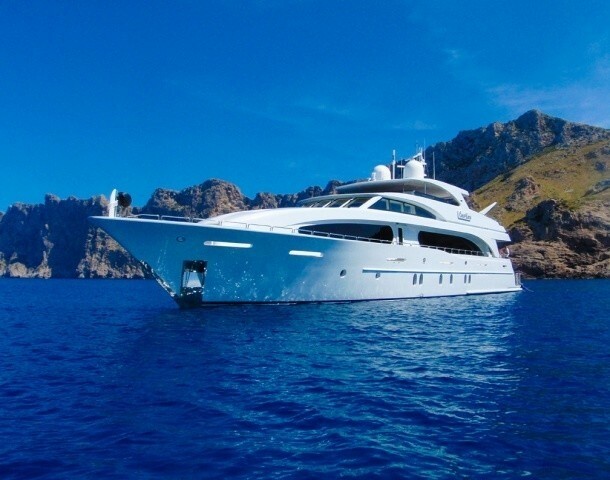 Luxury motor yacht VIVA MAS! 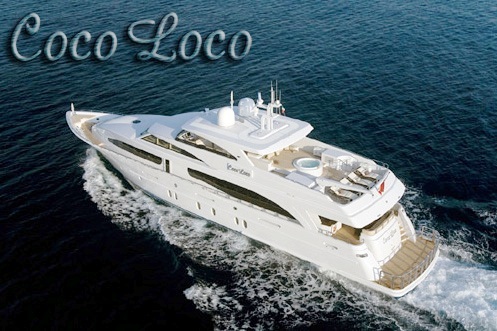 (ex Aquasition, Coco Loco) can accommodate 10 guests. 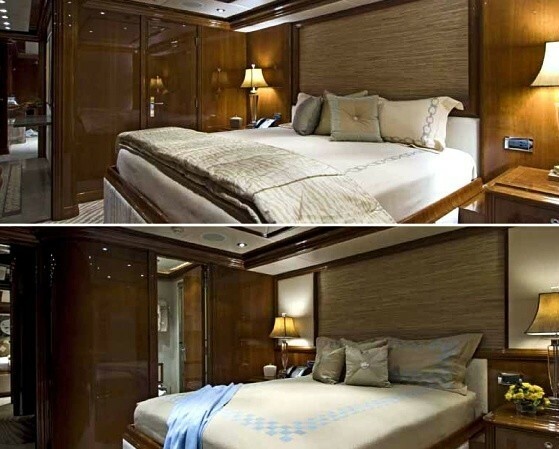 Her Master stateroom located on the main deck has an oversized KING and his and hers bathrooms with central Spa Pool and separate shower with specially chosen cappuccino onyx marble slabs for the floor, shower and tub surrounds. 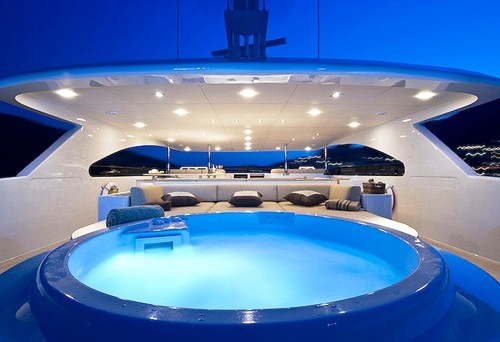 The Spa Pool tub is adjacent to a frameless shower fitted with an overhead rain shower and multiple side jets. 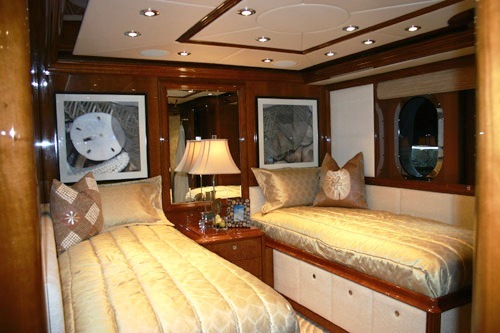 ‘Her’ side of the master bath area has a dedicated vanity with a lift up vanity compartment and upholstered stool. 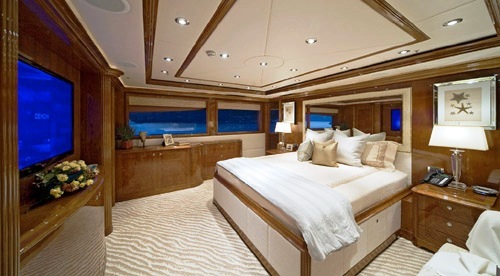 The master stateroom also boasts motorized natural woven window shades, a settee and incredible linens. 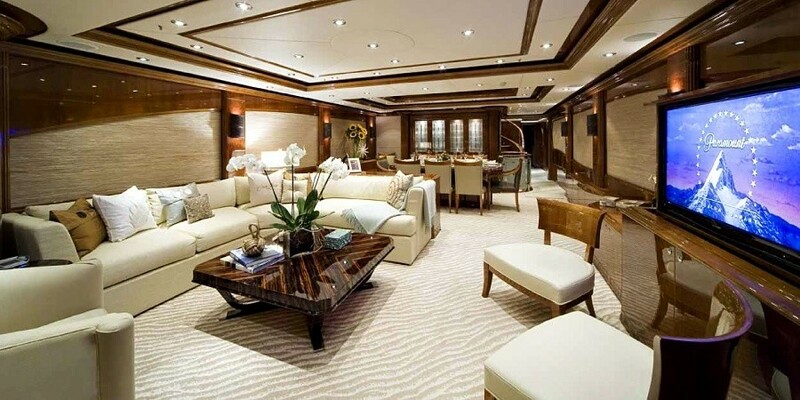 The lower foyer leading to the remaining 4 guest staterooms includes a refrigerator. 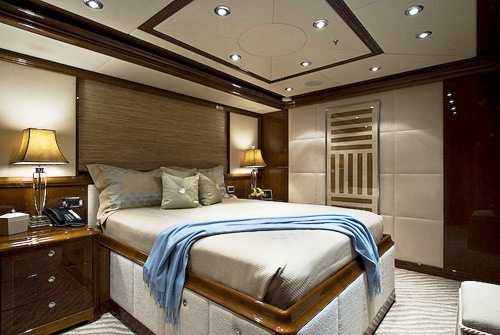 The VIP stateroom has a King bed and shower. 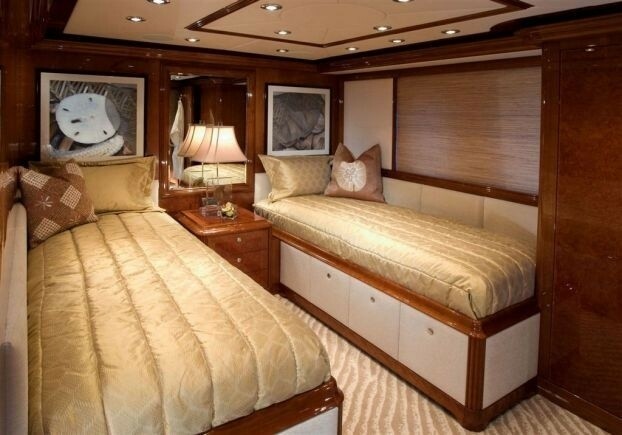 There are a further 2 cabins with queen bed and one with twins beds. 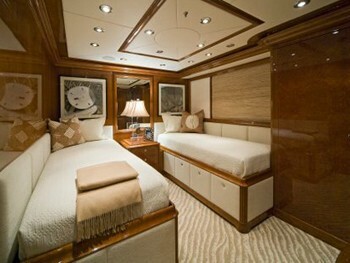 Each stateroom includes TV/DVD/iPod station & vanity, and ensuite bathrooms. 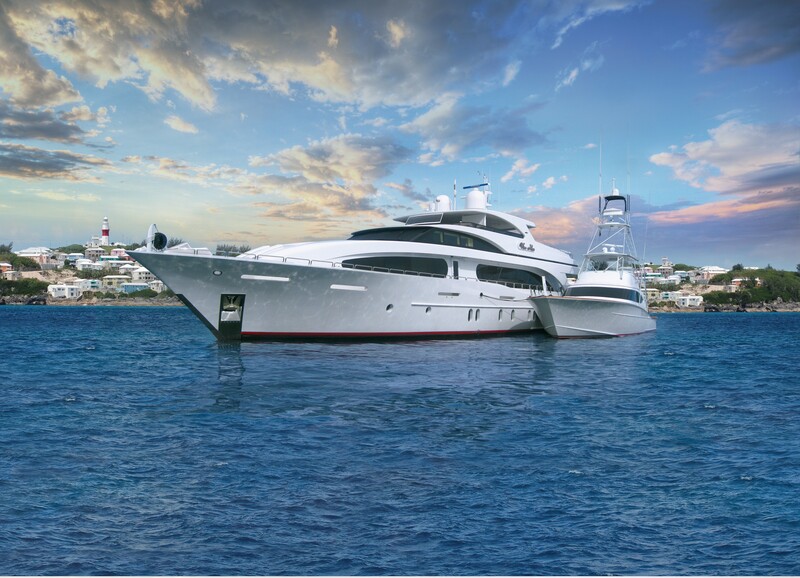 VIVA MAS (ex Aquasition, Coco Loco) is equipped with a range of Toys including two 2-man waverunners, snorkelling gear, water skis, extensive fishing gear, assorted towable toys. 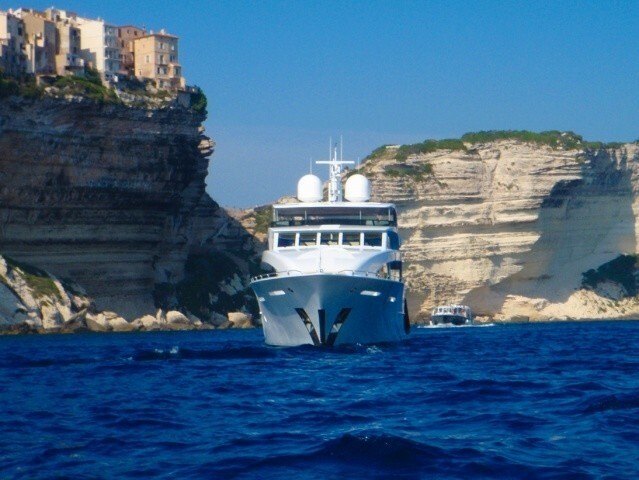 Her tenders include a 31 ft Bertram which is fully rigged for fishing (with conditions), a 16 ft Nouverania diesel inboard/outboard 140 hp. 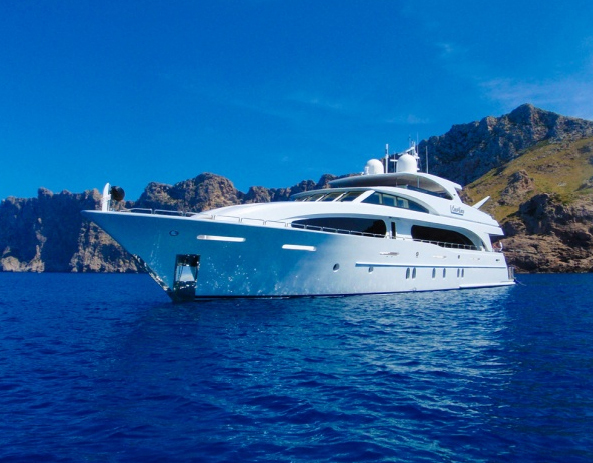 Communications include VSAT-wifi throughout, Audio Visual Equipment and Deck Facilities include IPod docking stations, remotes for music, video in every stateroom and throughout the yacht. 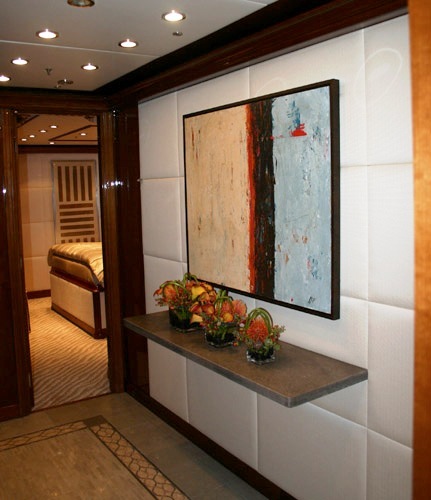 There is also a Sky and direct TV receiver in each stateroom and in the main salon. 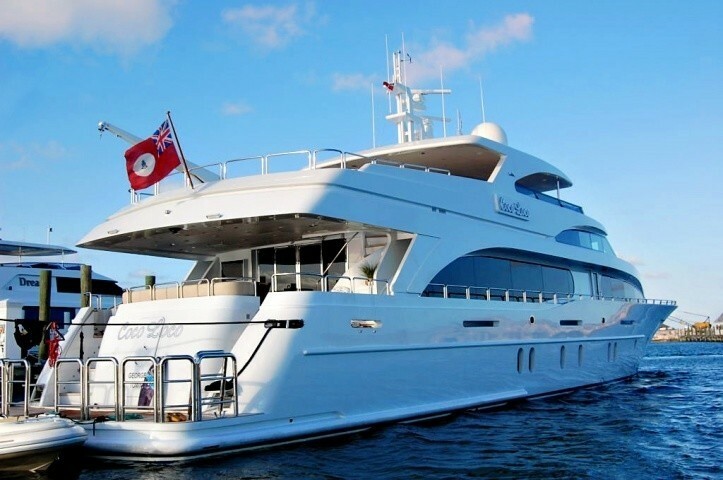 The 37m Yacht VIVA MAS! 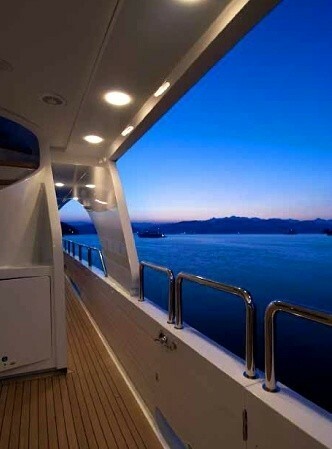 Life On Board Yacht VIVA MAS!